WashClub, a leading on-demand laundry and dry cleaning service, announced it has officially opened its newest branch to reach busy consumers and laundry intensive businesses in Oklahoma City, Oklahoma. Owned and operated by Tom Wyche and his daughter, Sara, WashClub Oklahoma City aims to provide the best quality laundry and dry cleaning services to the local community. The services are available via the mobile app or on the company’s Oklahoma City website, washclubokc.com. A WashClub professional will pick up, deliver and return freshly cleaned and neatly folded laundry and dry cleaning within 24 to 48 hours. WashClub and its local operators are committed to hiring local employees, exclusively for full-time W2 positions, in Oklahoma City and all of its markets, which will simultaneously ensure quality service and benefit the local community’s economy. Since its launch in Brooklyn, NY, WashClub has grown to become the leading on-demand laundry and dry cleaning service in the US standing by its motive of controlling the value chain from start to finish, offering high quality services to customers and businesses in 14 states. The company is planning on opening in even more markets in the upcoming weeks, as well as expand internationally in the near future. The WashClub team is made up of experienced professionals who have a history of providing personalized care for all types of garments. Whether it is clothing for your family, a uniform for work or employees, or towels and sheets for gyms, hotels and schools, WashClub is the perfect solution. WashClub licenses its exclusive software to brick and mortar laundry and dry cleaning operators across the United States. 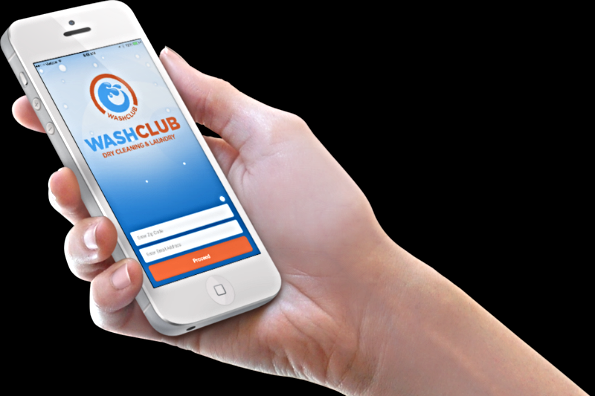 By licensing WashClub’s software, WashClubTrak, these entrepreneurs are able to offer laundry and dry cleaning services to its customers via WashClub or their own branded concept.